6061 is a precipitation hardening aluminum alloy, containing magnesium and silicon as its major alloying elements. 6061 has the highest resistance to corrosion of all the heat treated aluminums. 6061 has a wide range of mechanical properties and is readily machined and has good forming properties. 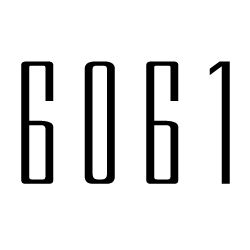 6061 is commonly used for couplings, hydraulic valve bodies, valves and valves parts, gears and shafts, worm gears, pistons, rectifier parts, fasteners, hardware, brake pistons, hydraulic pistons, and camera lens mounts.